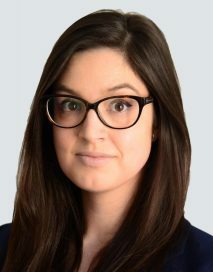 Brooke was called to the bar in 2016 and has recently successfully completed a common law pupillage at Dere Street under the supervision of Stephen Thornton. Before commencing pupillage, Brooke worked as a County Court Advocate representing clients in a variety of civil applications, including infant approvals, CCMCs and small claims trials. Prior to this, whilst completing the BPTC, Brooke was a regular volunteer for the Personal Support Unit in Leeds where she assisted clients in a wide range of legal proceedings. Brooke accepts work in all areas of Chambers’ practice and has a particular interest in criminal law.